A LeMans start is always a bit of a frenzied affair, as runners sprint to be the first to make the transition to be riders. After all, we don’t register for a bike race, even a 12-hour race, to show our mettle as pedestrians. Nevertheless, such a start is often necessary to thin out the herd before entering the tight and twisty singletrack that awaits. Given that the narrow trail of Penitente Canyon would come early in the 16.8-mile loop, and that large chunks of the canyon were hike-a-bikes up unrideable ledges and rock faces, a little extra thinning out was in order at the 12 Hours of Penitence race on the edge of Colorado’s San Luis Valley. The 12 Hours of Penitente coincided with a very crisp autumn sunrise. A rider nears the end of his first lap. Chris transitions to his son Evan after completing the first lap. Our first rider, Chris Leiber, was a little late getting to the start, and saw the sprinting mass just as he was getting oriented, putting him a little behind the curve right from the get-go. But once on course, he settled in and made up time quickly. Well, that is until he started dropping his chain into his spokes. 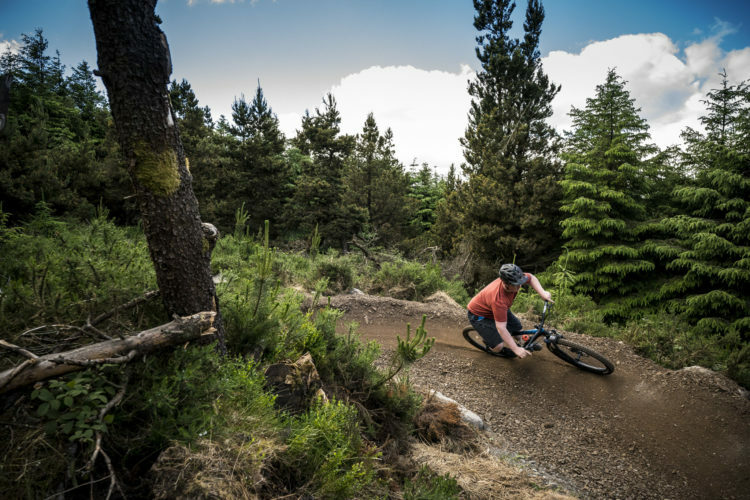 With each climb he discovered that dropping into any low gear–let alone granny–was likely to throw his chain. 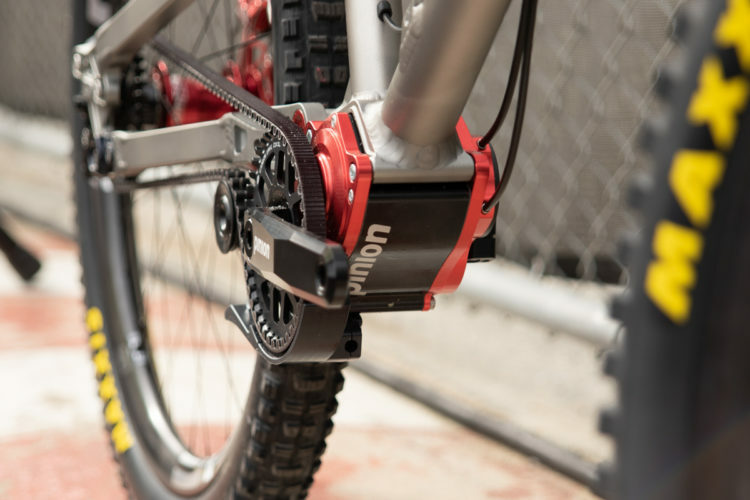 Amazingly, despite the awkward start and nursing what turned out to be a bent derailleur hanger, he managed to put our 3-person team, The Skyway Shredders, into second place after the first lap! 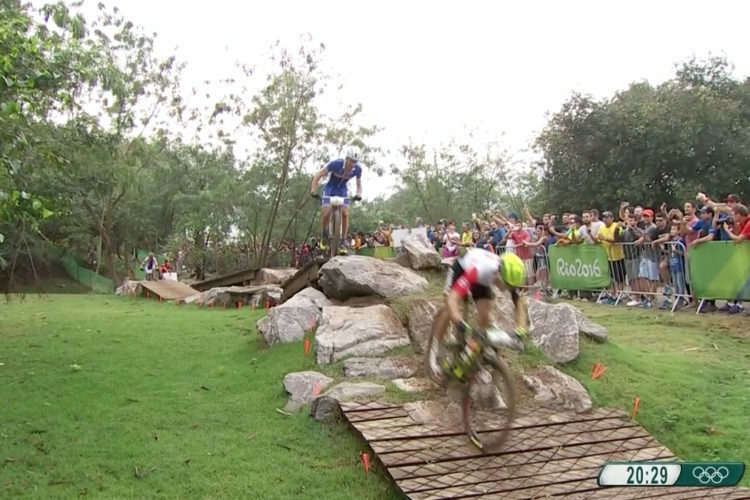 A rider clears one of the more ‘minor’ step ups in the big climb. 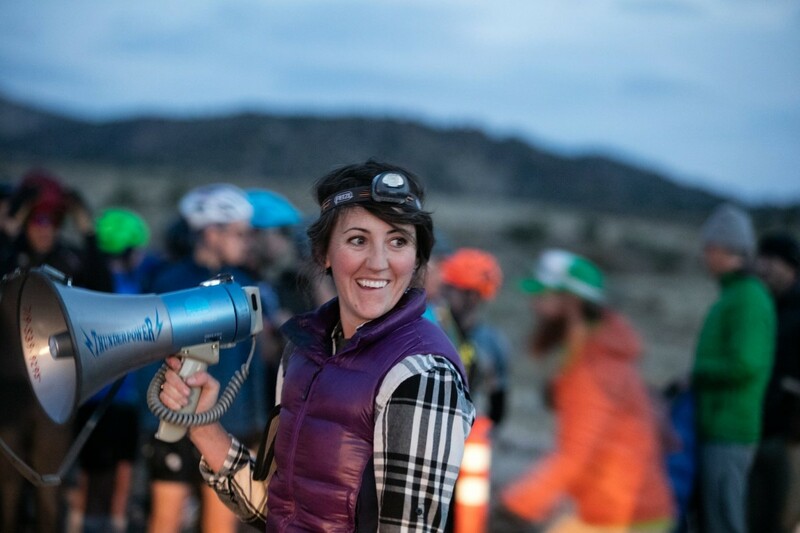 Not long ago, a 12-hour race in the San Luis Valley was just a spark in the imagination of southern Colorado local Sydney Schalit. But while most of us get such sparks, Sydney gathered the energy and gumption to turn this spark into a marvelous flame, one that would burn bright for over a hundred riders on a crisp autumn day in a somewhat remote and neglected area of southern Colorado. She began enlisting support, and set into motion what promises to be a stellar annual event. Course Director Sydney Schalit rounds up the ‘Dawn Patrol’ to start the kick of the first annual 12 Hours of Penitence endurance race. 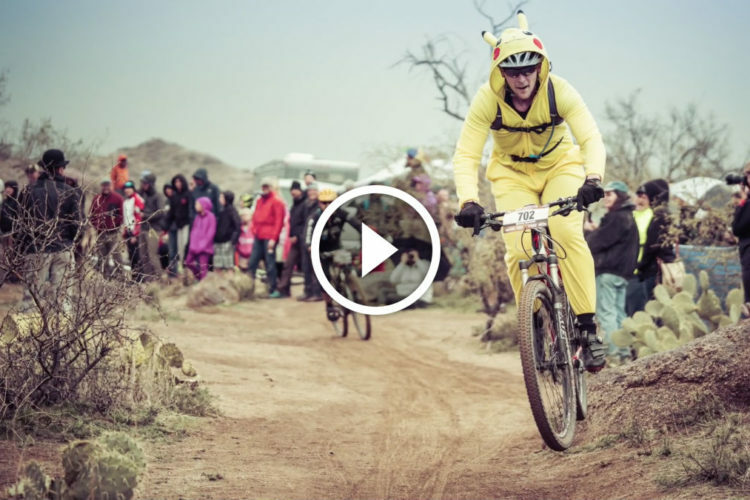 After passing the “baton” to his son Evan, Chris tended to his bike and gave course beta. 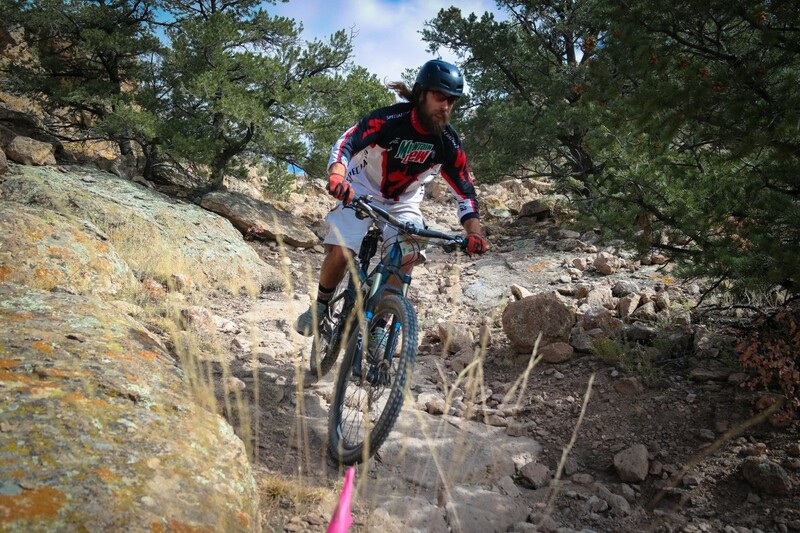 While I had ridden the Penitente area twice previously, that was when there was a mere seven miles of trail, far short of the 16.8-mile course we were racing on this day. I had arrived too late to get in a pre-ride the day before, which had me at a slight disadvantage. While Chris and I tried to compensate, Evan, a varsity cross country rider for Cheyenne Mountain High School in Colorado Springs, was out on the course turning in a positively scorching lap, which would move the Skyway Shredders closer to the top spot. Despite only having a few miles of quality singletrack at that time, I instantly recognized the area’s potential when I first rode there. Fortunately, so did the Bureau of Land Management. 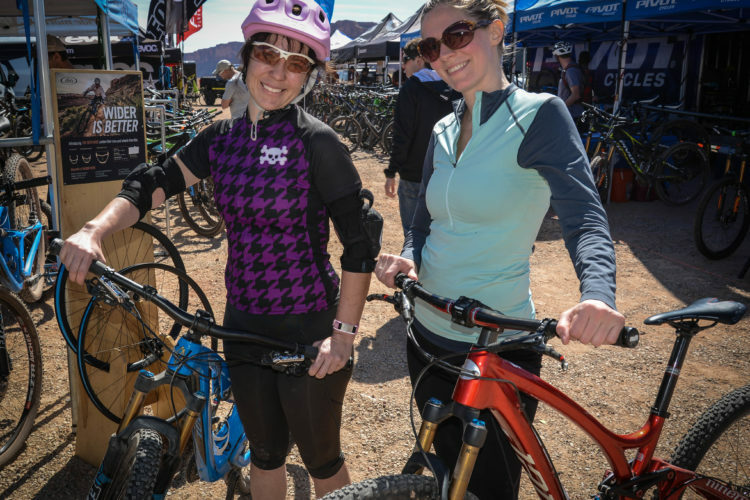 Nationally, the BLM has recognized the recreation potential of its lands in general, and their suitability for mountain biking in particular. Sydney also recognized the potential of the area–not just as a great place for riding, but also as a great place for racing. So as Sydney began assembling support for what would become the 12 Hours of Penitence endurance race, she formed a public/private partnership that would benefit over a hundred riders as well as local communities. 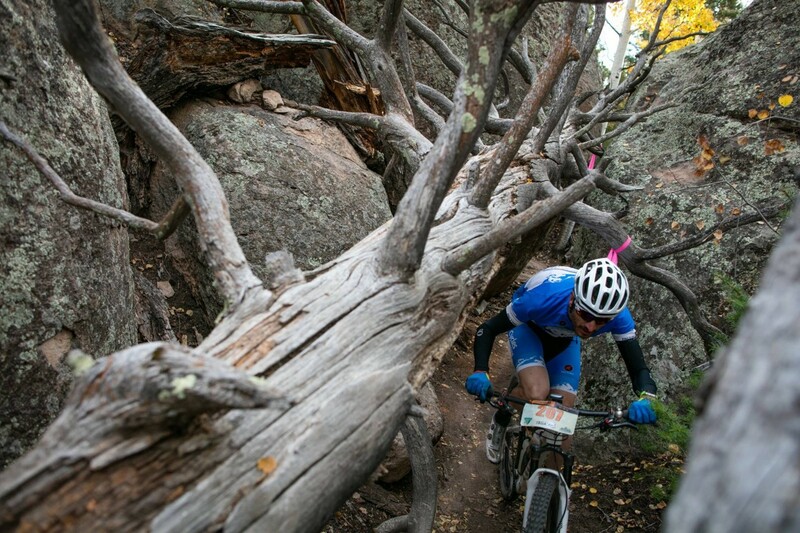 The most unique part of the event would be the incorporation of Penitente Canyon proper into the course. 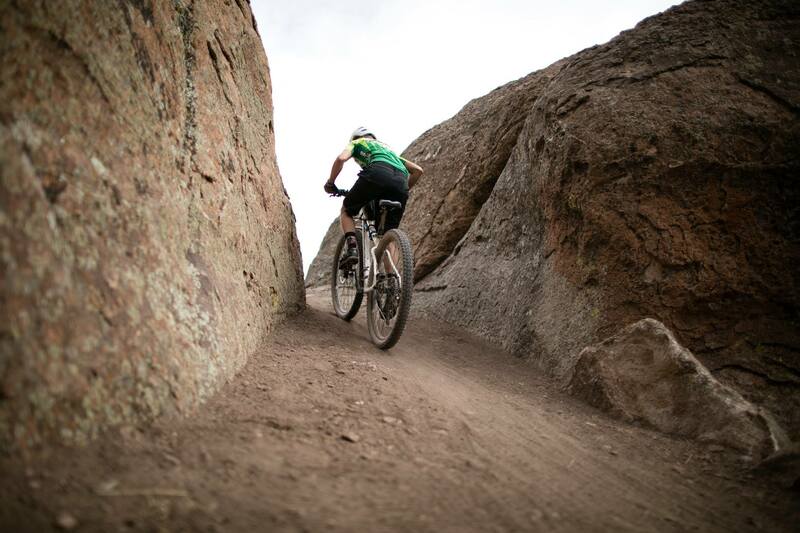 While cycling had been allowed in the area, which includes meadows, plateaus, valleys and a variety of rock-walled canyons, the one the area is named for is a foot-only trail. 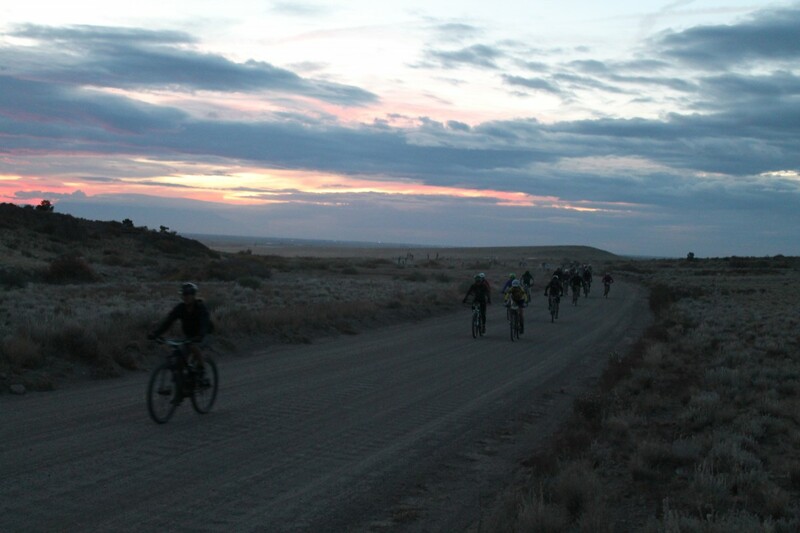 But the BLM agreed to let the race course route through the otherwise off-limits-to-bikes trail, through the most impressive feature in the area. Only racers would have the opportunity to sample this with knobbies rather than boots. 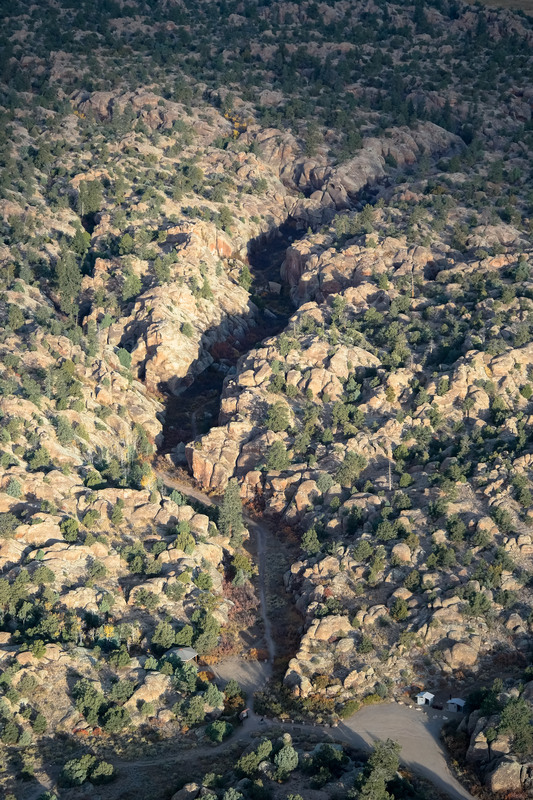 Penitente Canyon from the air. This canyon is usually open to foot traffic only, but was made available to the 12 Hours of Penitente race, making for a truly special and unique course. By the time Evan came in, I was itching to get out on the course. I knew what to expect in general terms, but was greatly anticipating actually riding the course, including the otherwise verboten Penitente Canyon. 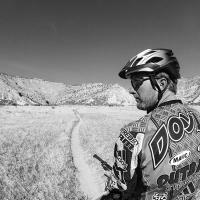 After pedaling down a quarter mile of dirt road, it abruptly ended as nothing remained but a narrow slot into the rugged canyon. The parts of the canyon which were rideable were mighty tight. After a quarter mile of cruising a narrow path between vertical walls of granite, I was thinking, “this isn’t so tough–what’s all this talk about hike-a-bike?” After all, my relative strength is technical climbing, and I find many riders overstate difficulty and when the rocks arrive, I climb while they walk. This was, however, not the case here: the hike-a-bikes did indeed come, and they were a blast, adding a rather fun adventure element to the course. 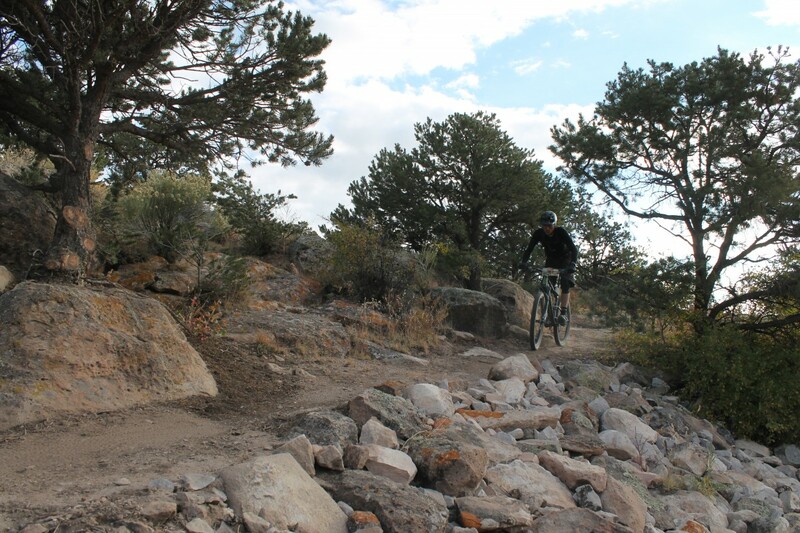 After clearing the canyon walls, though, there were many miles of wide-open high meadow singletrack comprised of mostly non-technical climbing–my downfall. 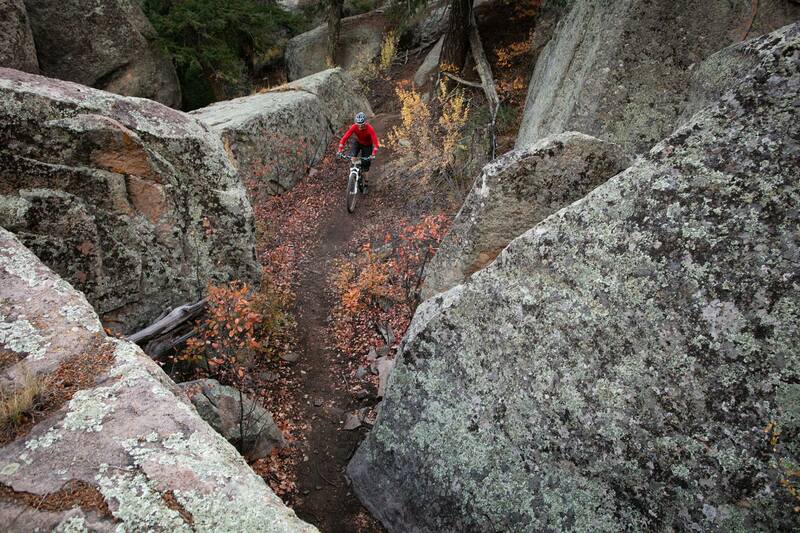 I lost ground as multiple riders passed me–that is, until we got back into the rocks. 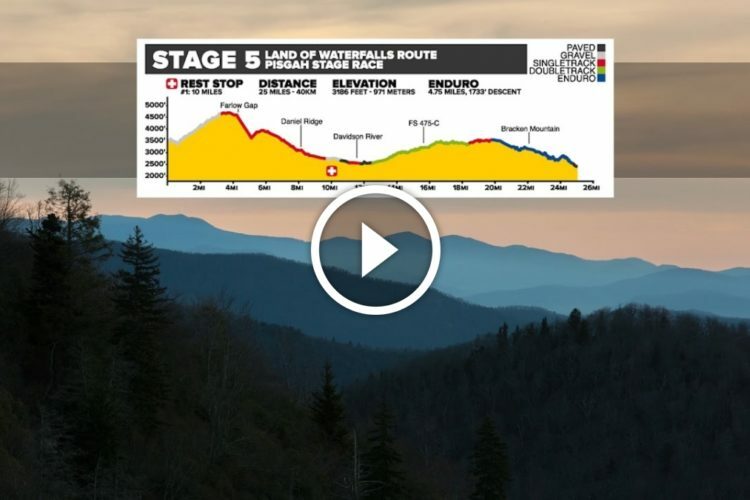 When the climb turned technical, I recaptured a few places before the last meadow, preceding a particularly gnarly, and fun, descent over rock rollers, through narrow grooves, and over some great huckortunities. 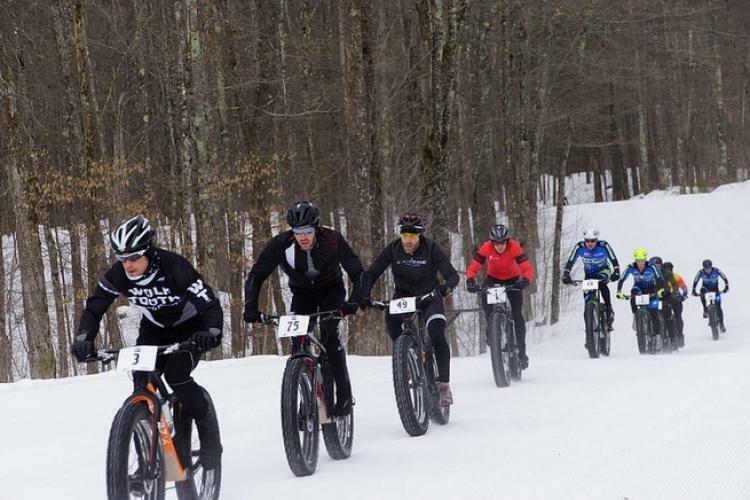 In the end, I ended up pacing myself way too much in anticipation of saving energy for another lap, and ultimately the Skyway Shredders fell back to fourth place by the end of the third lap. Just in case–fortunately unnecessary this day. Anybody who has been involved with putting on a race knows it can’t be done without volunteers. 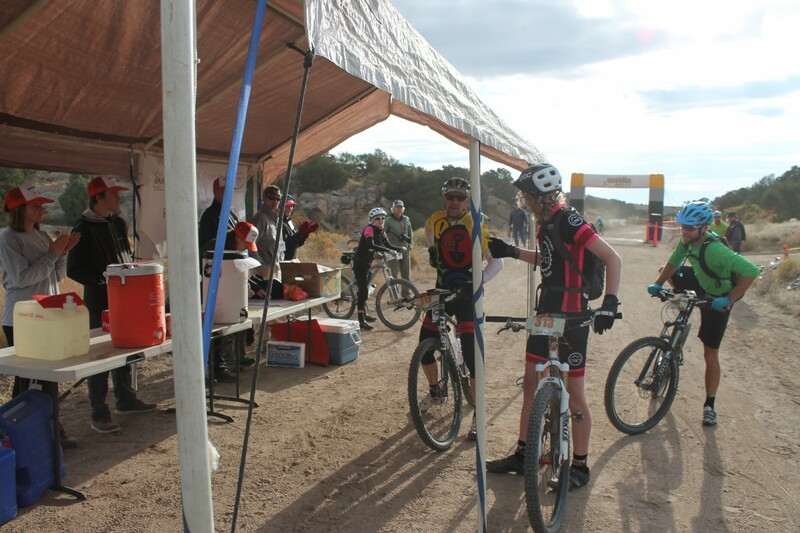 The logistics of setting up and executing an all-day race in a remote location means even more volunteer help is needed. For the 12 Hours of Penitence, a huge volunteer force was required for everything from course setup to race day support to execution and the thankless teardown and cleanup. 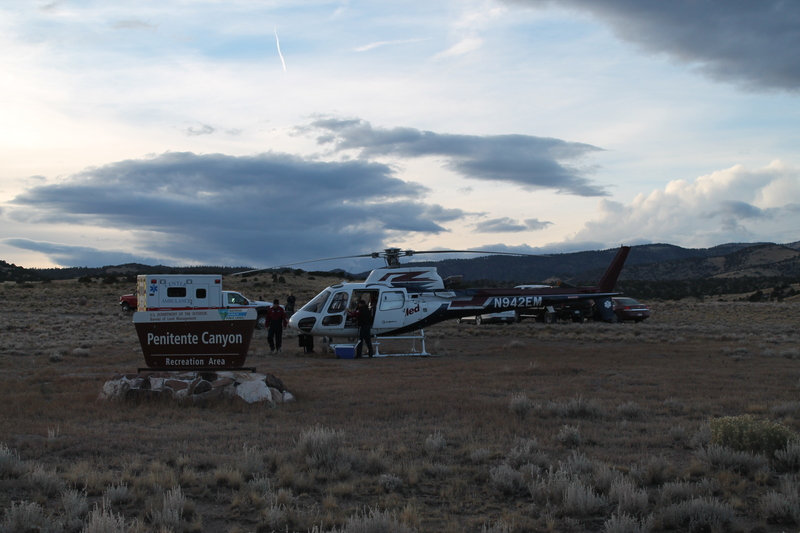 12 Hours of Penitence was made possible only with the help of people willing to share their time and energy, much of which came from the organization Volunteers for Outdoor Colorado. 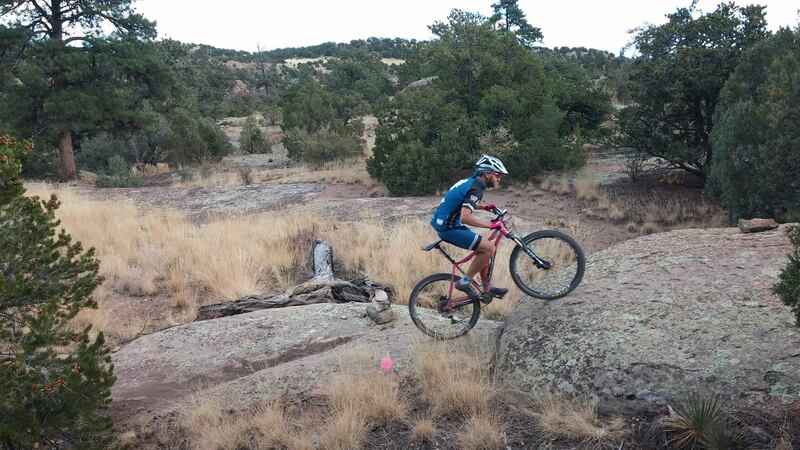 In particular, Brink Messick from the San Luis Valley Public Lands Center helped design and mark a course that would give riders almost 17 miles of top-quality singletrack–much of which he had designed and helped build himself–including the full gamut of riding conditions from fast and furious to gnarly and huckable. Click here to keep reading part 2. 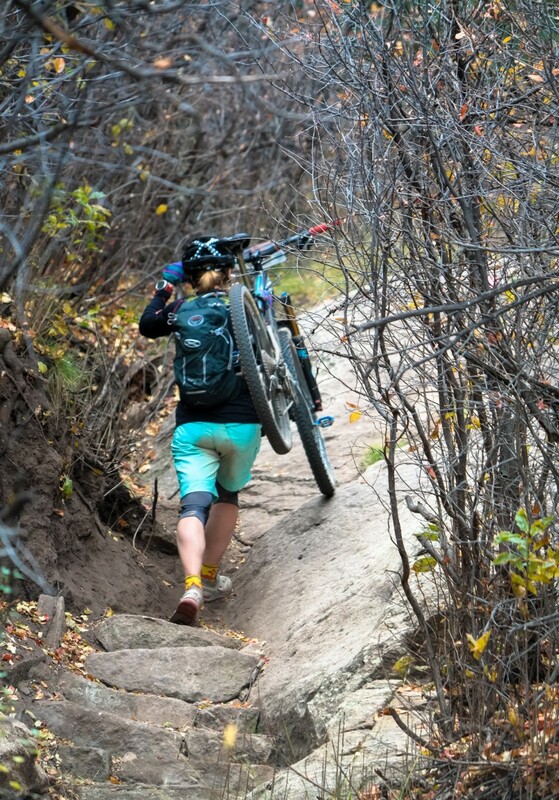 Photo above this quote “A rider clears one of the more ‘minor’ step ups in the big climb”. This Photo taken by Doug Clark not Ben Knight. Got it, thanks for the correction! The race was great. The experience, all the way down to the camping and trading post meals. Brink is the trail design man and Sydney did a great job year 1. I am excited for next year!!! John, I had no problem giving Evan my tube as I saw him walking with his bike. Its part of the experience, and he had a sweet bike to!!!! Thanks much for the assist! Yeah, he’s got a pretty sweet rig. I think it’s only about 19lbs and he rides it hard.